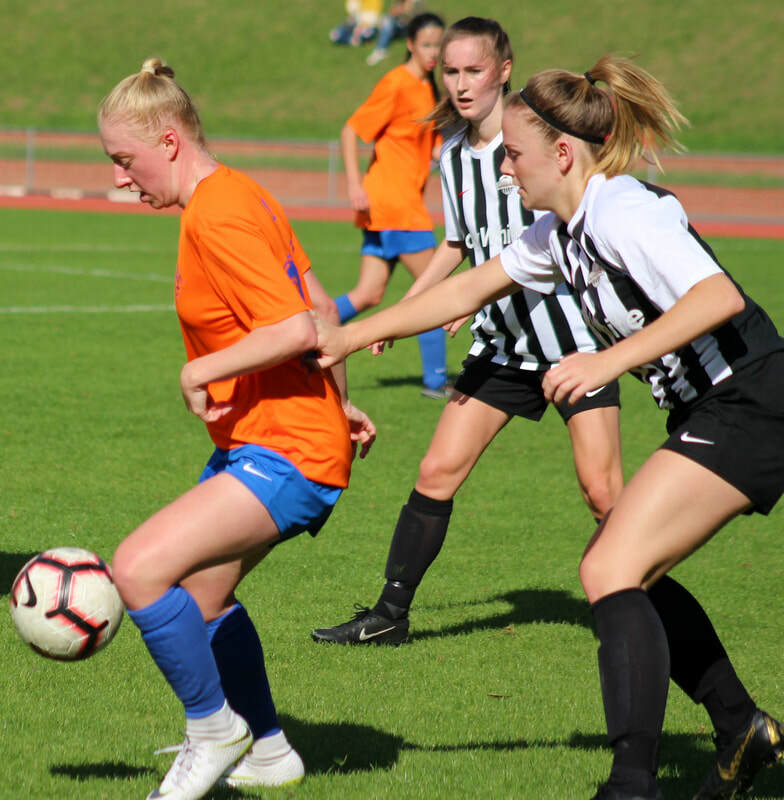 It took just three minutes for the Diamonds to open their account, when a return shot from a corner hit the crossbar and then hit Waterside Karori midfielder, Katie Barrott, who could do nothing to stop the ball landing in the back of the net. Diamonds who already had six players out, with five away in Dallas with the NZ Secondary Schools girls teams and Asha Strom also out, were dealt a further blow when the tenacious Liz Crowe was forced off after 20 minutes with an ankle injury. Despite this Diamonds dominated the first half and on the rare occasions that Waterside Karori did get neat the United goal it was easily dealt with by keeper Roni Lipi and the defensive trio of Rosie Wild, Sophie Dijkstra & Sarah Alder. Waterside Karori coach Bill Robertson said he was pleased with his sides performance, particularly in the second half. "The W-League was always going to be a big step up and we had the toughest challenge in Wellington United first up. We have a couple of new faces and were playing a new formation, this game gives us a good indicator of where we need to be in terms of fitness, ball retention and speed of movement"
Diamonds coach, Schiltenwolf said "I couldn't be prouder of the application and personality of this team. They have left everything out on the pitch for each other. That is why we are a family."